In 2015, NetEnt and IGT reached their first agreement which involved an IP patent cross-license agreement. 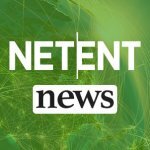 Another agreement followed in 2017 allowing NetEnt to offer its online casino games to Norsk Tipping through the IGT Connect™ integration layer that IGT is providing to Norway’s state lottery. It took a while, but it was last week that NetEnt announced that a wide range of NetEnt’s respected games is now available at Norsk Tipping. IGT has been a key partner for NetEnt ever since the first agreement between the two companies was signed in May 2015. It is thanks to the IP patent cross-license agreement signed with IGT that NetEnt gained access to all IGT’s patented game features for their North American games offering. To continue growing in the North American market, signing the IP patent cross-license agreement with IGT was necessary. 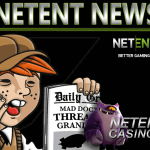 It indeed meant a huge step forward for NetEnt in the North American online gambling market which continues to open up again after it was shut down in 2006. It was when the US Congress passed the Unlawful Internet Gambling Enforcement Act (UIGEA) of 2006 that the country forbade all payments from and to online gambling sites, leaving these sites no other choice than to withdraw from the largest online market at that time. In November 2017, NetEnt signed another contract with IGT, known for the development of popular video slots like Cleopatra™, Cluedo® and Monopoly®, but this time the contract concerned the supply of online casino games to Norsk Tipping, the state lottery in Norway. Instead of a contract involving IGT’s game features, an agreement was signed that resulted in NetEnt becoming a supplier to IGT. Again this contract was necessary as at the time a very competitive procurement process was going on for the delivery of online casino content to Norsk Tipping. Earlier in 2017, IGT already announced that it had won a contract with Norsk Tipping to provide online casino games to Norsk Tipping, Norway’s state lottery operator and a World Lottery Association (WLA) member. Being Norway’s state lottery operator and a WLA member, NetEnt would benefit a lot from IGT’s contract signed with Norsk Tipping to provide online casino content. It’s therefore that in May 2017, NetEnt and IGT signed an agreement for NetEnt to supply its award-winning game to IGT which results in the supply of the NetEnt Games to Norsk Tipping. NetEnt would deliver a range of NetEnt Games to Norsk tipping under the terms of IGT’s contract with the state lottery. After NetEnt signed the agreement with IGT to make a wide range of its world-leading games available through the IGT Connect™ integration layer to Norway’s state lottery operator, the integration process could begin. More than a year further, the integration finally completed and therefore a range of NetEnt Games is now available at Norsk Tipping.